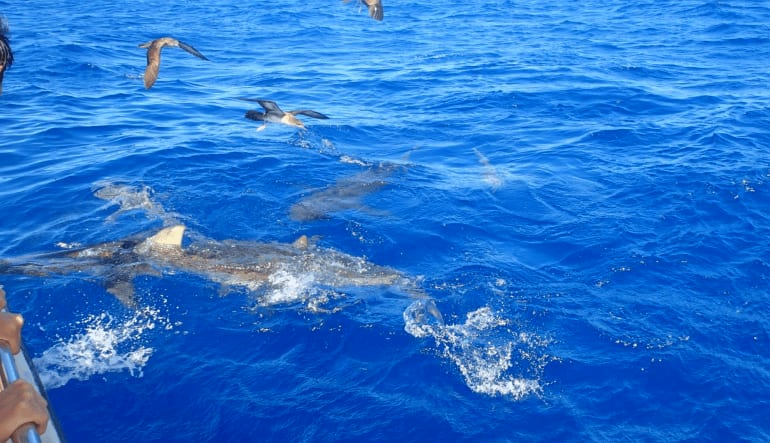 This educational tour takes you 3 miles off the shore of Oahu for up close views of Galapagos and Sandbar sharks. 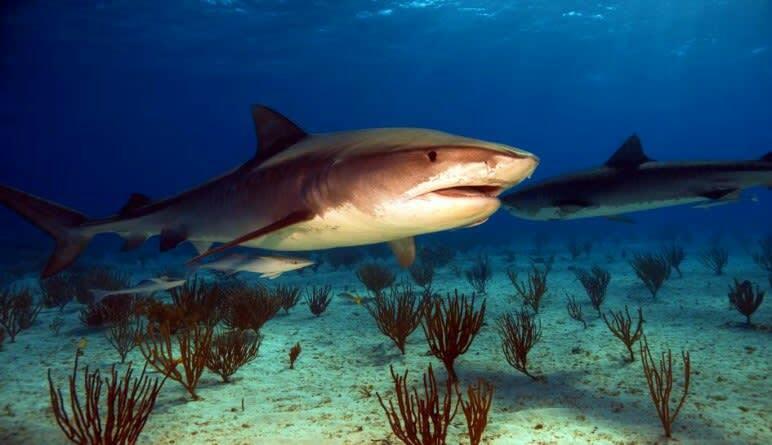 One of the main goals of this tour is to support and further the cause of shark conservation. Without these beautiful creatures the balance of the entire ocean would be in harm’s way. 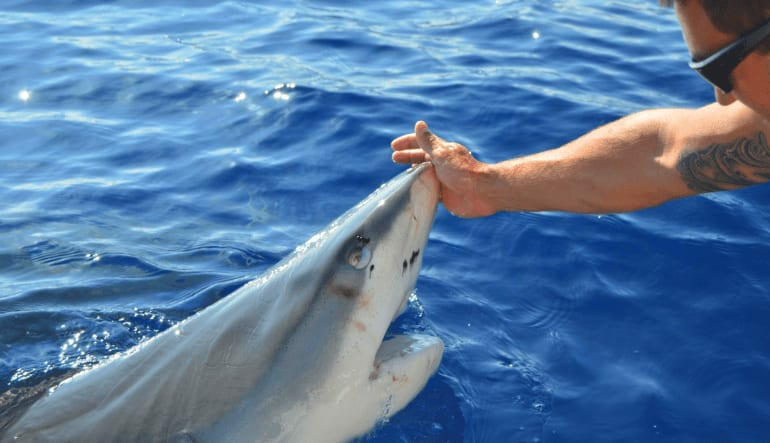 Along the tour you will be presented with fascinating facts about shark behavior, ocean life and Hawaiian culture. This tour runs adjacent to the shark dive program so you will be able to see your fellow passengers descend into the cage where the sharks congregate. Even above the water you’ll still get incredible views of sharks. Curiosity brings them right up to the cage and surface of the water! 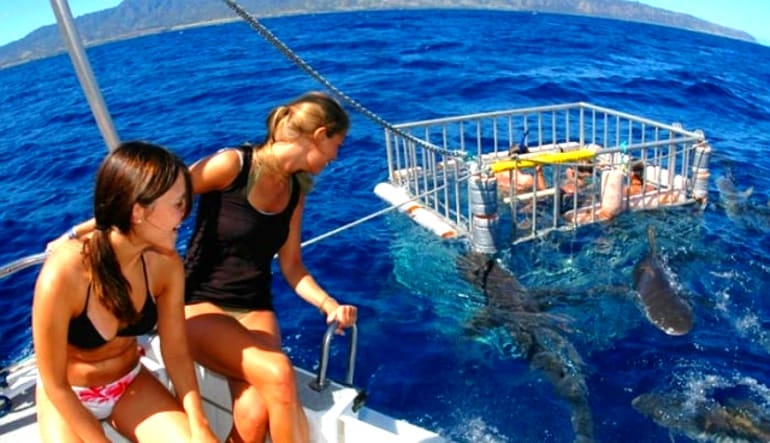 Open your eyes to a whole new world on a shark tour in Hawaii! The crew was top notch! Very informative, professional and entertaining!